Staff from the Institute for the Psychology of Elite Performance (IPEP) were recently interviewed by Adam Walton for the BBC Radio Wales programme "Science Café" about their research into sport psychology. If you would like to listen in, the programme will be aired today, Tuesday, 16 November at 7.00 pm and will then be available online for a week. "Bangor University is working with UK Sport, the nation's high-performance sports agency, to investigate the athlete development pathway"
UK Sport have recently announced that "Bangor University is working with UK Sport, the nation's high-performance sports agency, to investigate the athlete development pathway". Tim Woodman tells the 'Telegraph' that fulfilment of basic needs is why mountaineers may expose themselves to dangers. IPEP's co-director Tim Woodman recently contributed to an article in the Sunday Telegraph entitled "Everest: abandon hope all ye who climb it: The death of four climbers so far this year is unlikely to deter the flood of 'tourists' hoping to conquer the world's highest peak. What is the attraction? ". 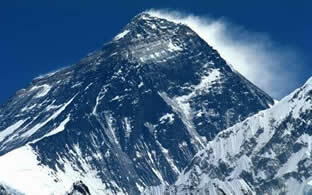 In the article Tim suggested that "A lot of people who climb mountains like Everest struggle to explain why they do it. Mountaineers tend to be people who don’t feel in control of emotion in their everyday lives. Emotions are a basic human requirement, and mountaineering allows them to feel fear, a very strong emotion, and be responsible for controlling that emotion” and this could be why mountains such as Everest hold such appeal to so many mountaineers. As the world’s highest mountain, it represents the ultimate challenge and battle against nature’s forces. After completing his MSc under the supervision of IPEP's co-director Calum Arthur, David Gibas has won a full PhD scholarship to study at the University of Paris XI in the face of intense competition from around Europe. The PhD will focus on risk taking in business and will be co-supervised by IPEP's other co-director, Tim Woodman. The University of Paris XI is where Marie Curie conducted her research so David has some big shoes to fill! IPEP research presentation wins best presentation at the annual BASES conference for a second time. Sally Akehurst (now at Derby University) won this year's best presentation award at the annual BASES conference. The paper, which has now been published in Psychology of Sport and Exercise, challenges more than 30 years of research that reports a positive relationship between self-confidence and performance. It also provides strong theoretically-derived evidence for the processes via which self-confidence can have a negative impact on performance. The BASES conference theme this year was 'Challenging the dogma' and given the readiness with which researchers accept the positive link between self-confidence and performance, this research definitely challenges current thinking and will likely “shake up the field". Indeed, the research has already featured on Fit Pro, a website for fitness professionals. This is the second time that research by IPEP has won the award; Stuart Beattie took home the prize two years ago. Go IPEP! IPEP members present on the importance of collaboration. IPEP members Emily Oliver (Aberystwyth University), Lauren Mawn, Créde Sheehy-Kelly and James Bell (Bangor Univeristy) were recently invited to present the Symposium: Collaboration in Sports Science 'In Action' at the BASES Annual Student Conference held at Aberystwyth this year. The presentation entitled "Collaborative Sport Science: Never miss a genuine opportunity" gave an insight into, and examples of, the research and applied collaborations that have been happening within IPEP in the last year. Specifically, from a research perspective, Emily and James discussed inter-institutional research initiatives and a partnership with the English Cricket Board (examining leadership and mental toughness). From an applied perspective, Créde and Lauren outlined ongoing collaborations with the Royal Air Force (examining stress and performance), and multidisciplinary support to a GB ski team. The presentation focused on how these collaborations arose, what each entailed, positives and negatives, ongoing developments and future plans. Lastly, the presenters discussed their own reflections on the process of collaborating as part of a staff-student organisation, and its effects on their personal development. The symposium organiser Simon Payne (Aberystwyth University) has submitted a review of the symposium to 'The Sport and Exercise Scientist', which is due to appear in an upcomming issue. Fascinating studies by IPEP's Sam Marcora have shown the effects of perception and fatigue in endurance performance. Recently IPEP's Dr Samuel Marcora carried out a series of experimental studies to look at the role of mental fatigue and perception of fatigue in endurance performance.The studies have been reported in many high profile publications. Indeed the review of Sam's research in 'PEZ Cycling News' has been selected as one of the best articles published in 2009 on that website for cyclists. Click on the links below to read more. Tougher training to improve mental toughness of young athletes. Some of England and Wales' most promising young cricketers are about to get tougher- so that they can perform better under pressure. They're following a special training course to learn some 'mental toughness' skills under the experienced guidance of a multi-disciplinary ECB Team of staff including IPEP sports psychologist, Professor Lew Hardy. The programme has been designed by Professor Lew Hardy, of IPEP, in conjunction with the England & Wales Cricket Board, in order to develop the players and improve their ability to perform under pressure. It is based on sports psychology and on Professor Hardy's work and research in improving basic training for initial recruits to the British Army. As with any other skill, the key to coping with pressure is the opportunity to practice. For these young cricketers on the ECB's U18 Scholarships programme, this is created by establishing strict standards of behaviour and attainment, along with consequences for not achieving the standards. Professor Lew Hardy explains, "Having researched improving training for Army recruits for a decade, one thing I have learnt is how the Army instils mental toughness in its raw recruits. This is vital as soldiers have to be able to perform in combat situations under the greatest stress imaginable. Key to this is preparation- they are given plenty of opportunities to practice being under pressure." "We're transferring the same techniques to the young cricketers. To do this we create situations where their actions have consequences- which can be negative. We also provide them with strategies to cope and opportunities to practice these. Professor Hardy explains: "The pressure we feel when trying to achieve is our attempt to try to avoid the threat of imminent 'punishment': which is how our brain views any negative consequence. This could mean the humiliation of being dropped from a team or any other negative result arising from poor performance. Being unable to deal with that stress hinders your performance and then makes the consequence more likely- a self fulfilling prophecy." This is the first full year of the programme, part of which included a tour of India from 12 to 28 February 2010. Simon Timson, the ECB's Head of Science and Medicine and U18 Scholarships programme manager said "Lew's innovative thinking allowed us to run a very successful pilot project last year. County Academy Directors noticed significant changes in the players' attitude and approach to practice and performance. This has allowed us to enhance the programme this year to include two T20 matches against Karnataka State and three one day matches against Sri Lanka U18s in Bangalore. These matches provided the players with a crucial opportunity to implement the mental toughness strategies they've learned in real match situations with the support of our team of experts." Andrew Salter from Glamorgan CCC's Academy said: "I have gained an enormous amount from being part of the ECB U18 Scholarship programme and have a much better understanding now of how important mental strength is if you are to succeed in international cricket. Being able to handle your emotions under pressure is a skill like any other and I will approach high pressure situations in matches with far more confidence now thanks to the advice we have received from Lew Hardy, Floyd Woodrow, Michael Vaughan, Graham Gooch, Alec Stewart and the other staff involved in the programme." 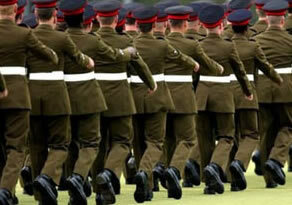 IPEP join forces with British Army to improve initial training. Sport Psychologists from the institute have been working with the British Army for over a decade to increase the number of initial recruits who achieve the standards required by the Army. Professor Lew Hardy and Dr Calum Arthur have been working with different sections of the Army to enhance military training techniques. They have been introducing the latest theories from organisational and sport psychology to improve training for initial recruits and NCOs and providing improved training and leadership skills to the trainers within those sections. According to Lieutenant Colonel Tim Cain, Ch G7 School of Infantry: "The support provided by Prof Lew Hardy and Dr Calum Arthur has been key to the development of Values Based Infantry Leadership; a modern approach to training that enhances performance through the identification and ownership of shared values". "We've worked closely with the different parts of the Army to help them define their goals and then developed programmes that they can deliver to achieve those goals. It was quite important that we worked closely with the Army and gave Army staff the skills and knowledge to deliver the training- as we knew we'd have little 'street-cred' within the Army ourselves," explains Professor Lew Hardy, who has led and researched the effectiveness of this programme since 1998. A significant development was to make subtle but important changes to the way that Corporals, who a do the bulk of initial training, view their role. This has enabled them to move from being the 'gate-keeper' of the standards required, selecting only those who attain the standard, to being an enabler- assisting recruits to achieve those standards – without a drop in the quality of recruits accepted. In fact, Prof Hardy explains that 'train in, not select out' has become a bit of a motto in Army training. So with the advent of modern coaching theories, has training become 'softer' in its approach ? Not at all. As Professor Hardy explains: "The Army's main training objective is to transform raw recruits, more often than not, youngsters, who often come from difficult backgrounds, into mentally resilient soldiers who will perform under the most intense pressure imaginable, where mistakes can lead to their death, the death of the person next to them, or all of them- this is not just the loss of a league game. For this reason it’s really important that these recruits learn to deal with pressure in training. They are done a disservice if they are not trained to cope under stress. So the harshness of army training is essential, but needs managing properly." Having worked initially with the Royal Marines Commando recruit training, Professor Hardy has since worked with Infantry recruit training and NCO training at the Battle School in Brecon and has now begun a programme that should spread the methods through initial recruit training for all support divisions within the Army. The programme involved bringing together university skills and knowledge, with the skills and knowledge that the Army had, in order to bring about the change that the Army wanted to achieve. It has also enabled the Army to roll out the process themselves. By now, thousands of soldiers, through the Regiments, have benefitted from the new training style and the majority of serving NCOs involved in training have received increased and improved coaching in best-practice training and leadership methods. Professor Hardy's statistics show that the methods have enabled the Army to pass out more soldiers without dropping the standards of the recruits it allows to enter the Army, simply by being able to bring more of those recruits up to achieve the required standard. "The Army realised early on, that this wasn't just about improving training to complete a task, this was transformational change that would change the way that people perceived their roles, and, ultimately the culture within the Army," says Professor Hardy. 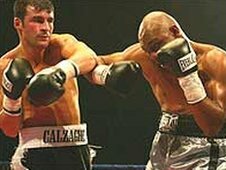 Boxers are renowned for upping the ante by trading slurs and insults at pre-fight weigh-ins or press conferences- but researchers at IPEP suggest that the role goes beyond showmanship and have found that, if effectively harnessed, venting your anger can improve performance in certain sports tasks. The article which was published in the Journal of Sport and Exercise Psychology has received attention from the BBC online and also in a Canadian national newspaper "The Globe and Mail". IPEP's Tim Woodman was also interviewed by BBC Wales's Jamie and Louise live programme in January. Woodman, T., Davis, P.A., Hardy, L., Callow, N., Glasscock, I., Yuill-Proctor, J. (2009). Emotions and Sport Performance: An exploration of happiness, hope and anger. Journal of Sport and Exercise Pscyhology, 31, 169-188.